In October of 2011, I was able to fulfill a long-held wish of mine, which was to go to Israel and visit the Holy Land sites with my church. While there, I was baptized in the Jordan River as well, which was such a personal experience for me, I will blog about it separately another time. Like Simon Peter in the scripture quoted above, I routinely disavowed Jesus. Of course I “knew” about Him, it is just that giving Him access to my life and my heart was not even under consideration. I thought it would cost me too much. I am not much of a rules gal. Relativism served me well. I was an adult in the spring of 1999 before I became of follower of Jesus. There were many things that brought me to the realization of who He was, but to be honest, I had a hard time forgiving myself from bad choices of the past; I could not understand that I could be truly forgiven. I struggled with this for years. Then I went to Israel. 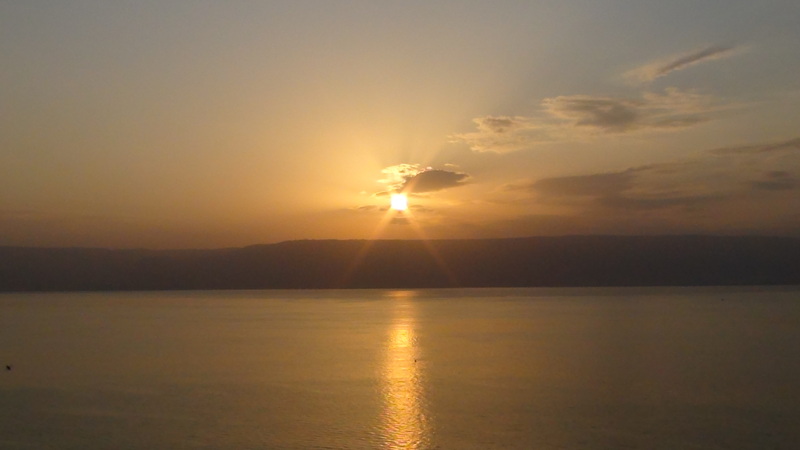 The very first place we visited was in the region of Tabgha, along the Sea of Galilee. Called Peter’s Primacy, there is a Franciscan Church there, small and made from obsidian, a black stone from the region. It encloses the Mensa Christi (Table of Christ) which is the centuries-old traditional stone where Christ met with his disciples that final morning and breakfasted, later re-instating Peter to the ministry. The Primacy is surrounded by the Sea, replete with a quiet grove of trees with an outdoor stone altar, encircled by stone steps for sitting. Serene and welcoming, one cannot help feel the very presence of the Holy Spirit. 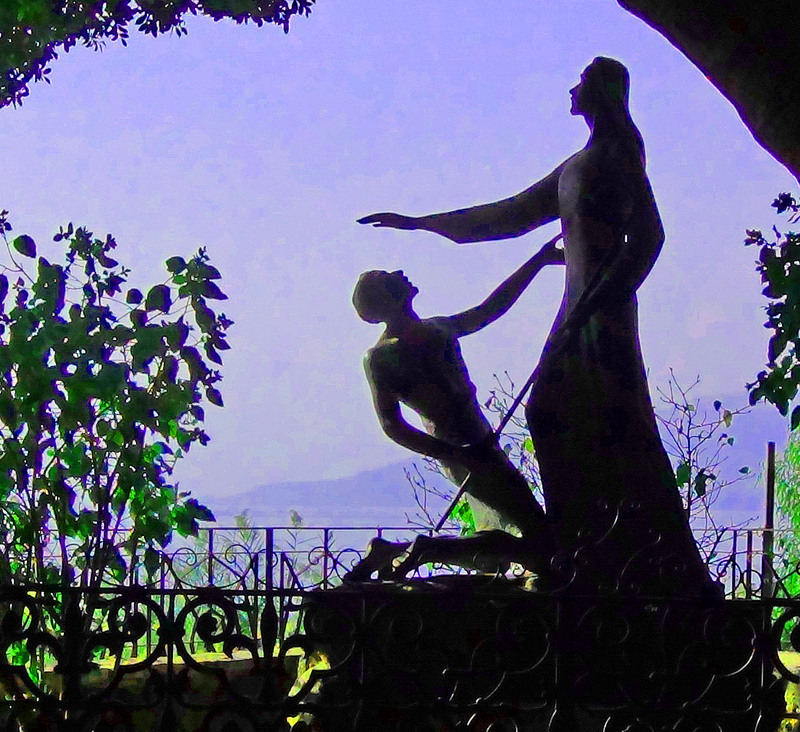 There is a lovely statue there as well, depicting Jesus forgiving Peter for his denial. (see top of page). Our group had the fortune of arriving early and we had the grove to ourselves. I was blessed to sit and listen to my pastor preach to us and recount the scriptures. He said, “Throw your net on the right side of the boat and you will find some.” When they did, they were unable to haul the net in because of the large number of fish. Then the disciple whom Jesus loved said to Peter, “It is the Lord!” As soon as Simon Peter heard him say, “It is the Lord,” he wrapped his outer garment around him (for he had taken it off) and jumped into the water. The other disciples followed in the boat, towing the net full of fish, for they were not far from shore, about a hundred yards. [c]When they landed, they saw a fire of burning coals there with fish on it, and some bread. Jesus said to them, “Bring some of the fish you have just caught.” So Simon Peter climbed back into the boat and dragged the net ashore. It was full of large fish, 153, but even with so many the net was not torn. Jesus said to them, “Come and have breakfast.” None of the disciples dared ask him, “Who are you?” They knew it was the Lord. Jesus came, took the bread and gave it to them, and did the same with the fish. This was now the third time Jesus appeared to his disciples after he was raised from the dead. Very truly I tell you, when you were younger you dressed yourself and went where you wanted; but when you are old you will stretch out your hands, and someone else will dress you and lead you where you do not want to go.” Jesus said this to indicate the kind of death by which Peter would glorify God. That morning, it occurred to me that Simon Peter, a man who lived with, learned from and saw Jesus for three years, still turned his back and ran when push came to shove. Peter disowned Jesus three times. How many times have I done the same? How about you? In 1st century Palestine, Jesus was no more welcome in the general population than He is now. In this irreligious world, we are faced with similar pressure. Siding with Jesus will cost us something. Peter stumbled. Jesus sought him out anyway, and just as Peter had denied Christ three times, the Lord gave Peter three chances to repent of his mistake – and with love and forgiveness, re-instated him to Jesus’ service. I am so thankful that we have a God who will seek us out; who knows our hearts before we even do, and who, no matter what will accept our true repentance and remember our sins no more. We do succumb to the pressure of life, and we too have and will stumble. But when I sense Him asking me, “Do you love me more than these?” I remember Simon Peter. 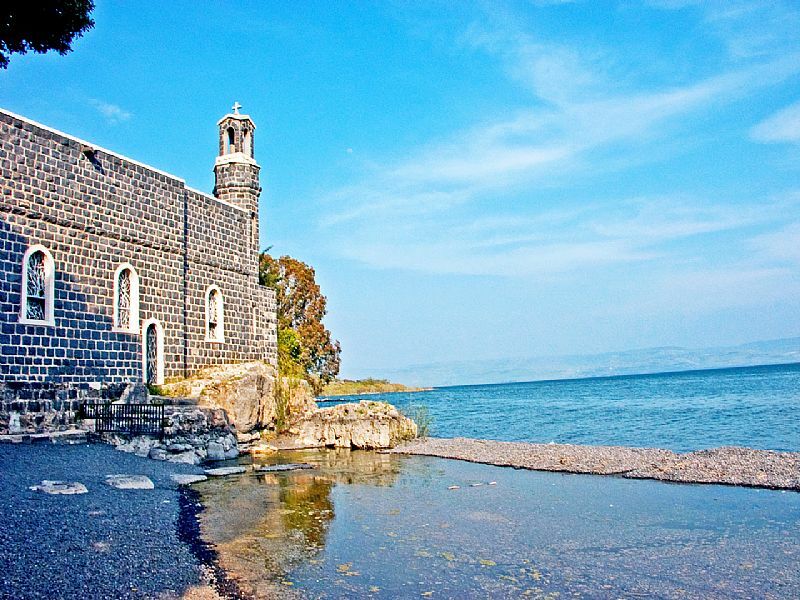 Two-thousand years ago a sinful, broken and humbled apostle/fisherman repented of his human weakness, thrice professed love for his Saviour and experienced complete and total restoration along the gentle shores of the Sea of Galilee…and 2000 years later, humbled, repentant and healed, so did I. Yes Jesus, I love you more than these…. 11 For as high as the heavens are above the earth, so great is his love for those who fear him; 12 as far as the east is from the west, so far has he removed our transgressions from us. Life lessons, Life Stories, Observations, What Is Truth? What is resounding in my heart as I read your words is this “I am so thankful that we have a God who will seek us out; who knows our hearts before we even do, and who, no matter what will accept our true repentance and remember our sins no more.” We are sought out by God, who already knows all our failures, all our stumbles, all our prides, who still seeks us. When we respond, being found by Him, it is His love and kindness that leads us to repentance. Our status doesn’t remain, she who sinned or failed or stumbled but rather becomes she whose sins are remembered no more. Powerful! So powerful! Thanks for sharing.